It's not just for dessert. Gooey, creamy caramel is a dessert staple. But it’s also great on the main course. 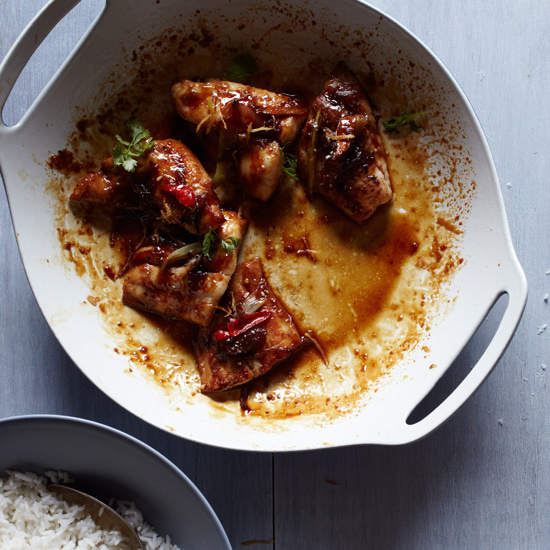 We’re not talking about your usual, sugary caramel—we’re talking about nuoc mau, the savory, funky caramel sauce, which Vietnamese cooks make with fish sauce. Here, the best savory ways to make and use caramel. Angela Dimayuga of NYC's Mission Chinese Food uses her deeply flavorful fish sauce caramel for a variety of seafood. 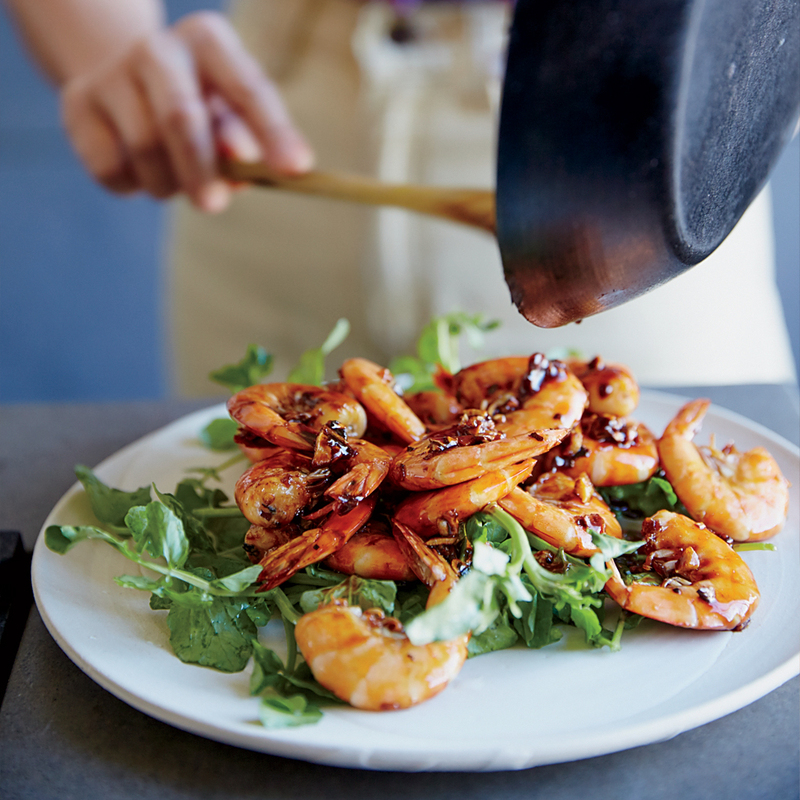 Here, she tosses sweet, garlicky shrimp with the sauce. This super-fast chicken stir-fry is a perfect weeknight dish. 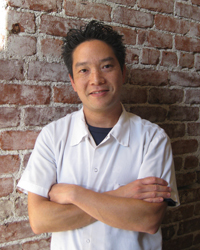 At the Spice Table, Bryant Ng simmers traditional bone-in catfish steaks in a sweet-savory caramel sauce. The simpler version here calls for easier-to-find catfish fillets, which are just as delicious. Jean-Georges Vongerichten cleverly rethinks a classic Southeast Asian sauce not by what he adds, but by what he leaves out. Instead of a rich curry paste, he creates a creamy sauce with a caramel base, coconut milk and fish sauce. 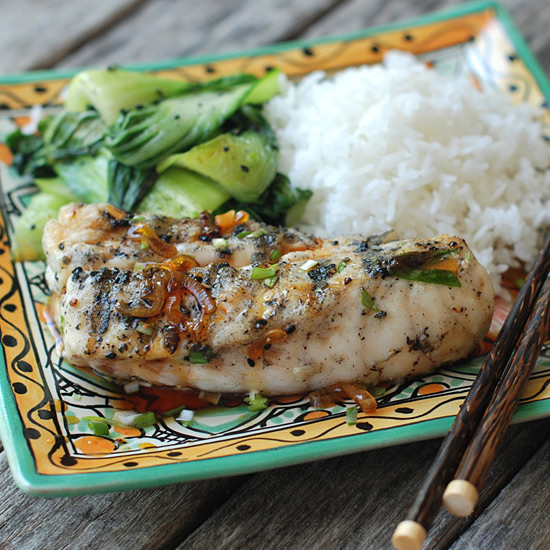 This hot-and-sweet, Asian-inspired dish from chef Andrew Zimmern pairs an easy but flavorful marinade for grilled fish with an intense, savory caramel sauce.